George Kiely was until his recent retirement a Senior Adviser in the Entrepreneurship Division of Enterprise Ireland, the state economic development agency. George graduated in Modern Languages, and Philosophy and Ethics from King’s College London and Business Studies from Liverpool University. He also took a M.Sc. in Science Communication (Ethics) jointly at Queens University Belfast and Dublin City University. Following a career in journalism and industry in the UK, in 1980 he joined the Irish state economic development sector where he has worked in several capacities including two overseas postings in Iraq and Singapore. He has carried out a variety of assignments as a consultant for the World Bank in Asia. He has worked extensively in the field of bioethics and took a year’s sabbatical in 2005 to work in Dublin City University as Visiting Researcher in Bioethics. George has served twice on the National Union of Journalists (UK and Ireland) Ethics Council as Ireland representative. Julian M Clarke is a KPMG trained Irish Chartered Accountant who led finance functions for international businesses in Australia, including two financial institutions and a leading entrepreneur. Since 1992 he has been a Corporate Financial Management Consultant across all continents (which conduct business) for multinationals and government departments. Currently based in Dublin, he has also worked with a variety of entrepreneurial ventures and voluntary organisations. He has served on a number of committees of Chartered Accountants Ireland including Ethics, Publishing, Education, Industry, Member Services and the Council of his profession. He has been designing and teaching courses since 1985, relishes teaching in business schools and has dabbled in journalism for business magazines. Julian has had an interest in business ethics for more than twenty five years, since facing an ethical dilemma leading a finance function for a financial institution during recessionary times in Australia. Since 1998 he has been writing articles, teaching courses and organising, attending and speaking at international corporate integrity events not only in Ireland but also in the UK, Europe and the USA. His other professional interests include leadership and management, political economy, financial management including management information, spreadsheet modelling, sport, publishing and (following an MBS thesis on Venture Capital) entrepreneurship, hence designing and running many ‘start your own business’ and ‘introduction to finance’ courses and teaching on entrepreneurship programmes in business schools. 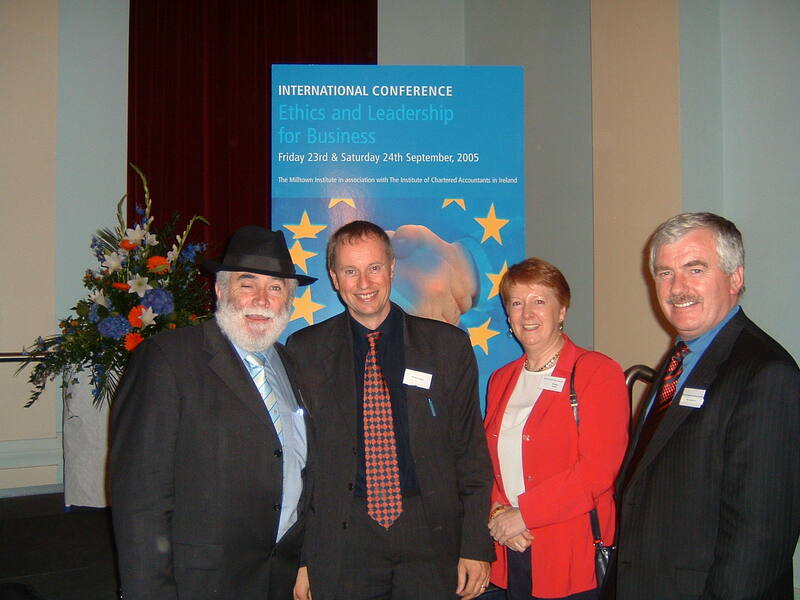 Julian chairs EBEN Ireland and starting with Building Integrity in Business in 2003 has organised and co-organised a dozen business ethics conferences and events… with more to follow.